"The deepest parts of the ocean are totally unknown to us," admits Professor Aronnax early in this novel. "What goes on in those distant depths? What creatures inhabit, or could inhabit, those regions twelve or fifteen miles beneath the surface of the water? It's almost beyond conjecture." 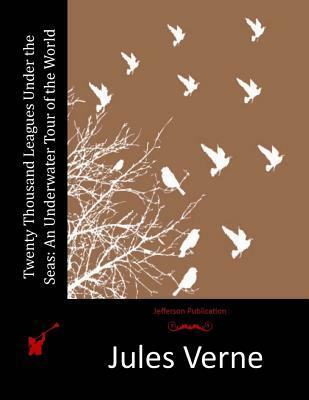 Jules Verne (1828-1905) published the French equivalents of these words in 1869, and little has changed since. 126 years later, a Time cover story on deep-sea exploration made much the same admission: "We know more about Mars than we know about the oceans." This reality begins to explain the dark power and otherworldly fascination of Twenty Thousand Leagues Under the Seas.